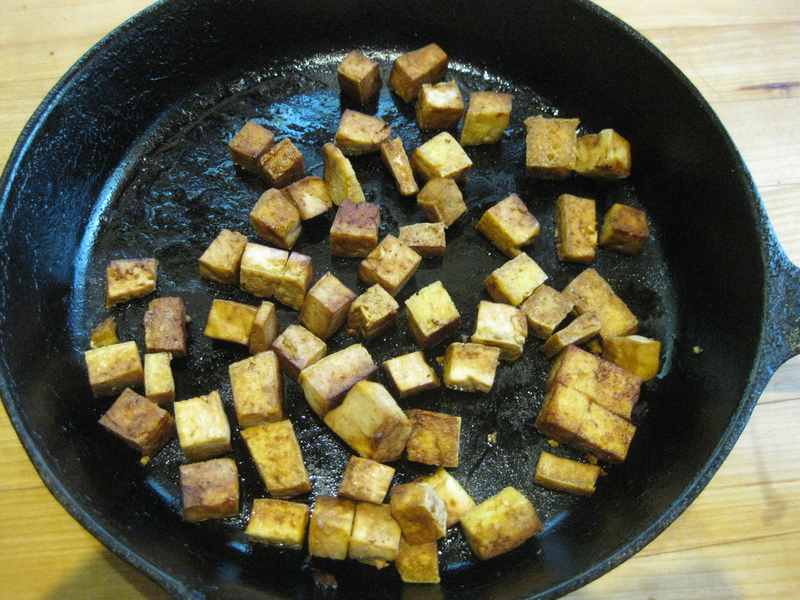 The tofu is cut into small chunks and sauted in olive oil until starting to brown and then tamari sauce is added, continuing the sauteing until the tofu is nicely browned. The pasta should be whole wheat or other whole grain so that it adds nutritional value to the meal. Put a serving of pasta into a bowl or onto a plate. Top with enough pesto to make your taste buds happy. Add the tofu chunks, then mix. I don’t have a picture of the finished product, because I ate it too quickly. 🙂 Enjoy! 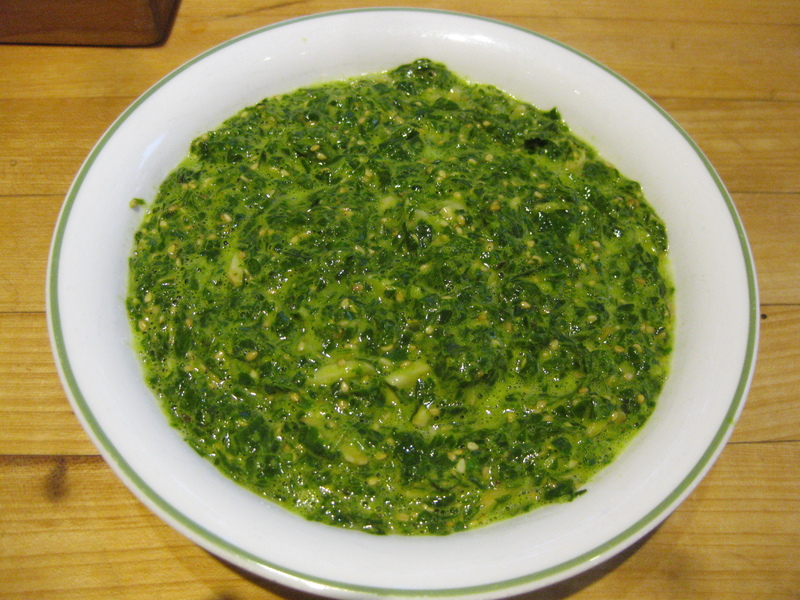 This version of pesto is creamy from the addition of lecithin and water. It is crunchy from the toasted slivered almonds and sesame seeds. This pesto recipe is easy to make and is yumtritious! In a small pan, dry toast the slivered almonds, stirring regularly, until they are beginning to color and then add the sesame seeds. Toast and stir about a minute more until the sesame seeds start to pop. Remove from heat. The order of the ingredients is important. Into a food processor, add all the ingredients–except the toasted almonds and sesame seeds–in the order in which they are presented in the list. By adding them in this order, the pesto will process easily. Process the pesto on high speed until the pesto looks creamy. You will probably need to stop midway to push down the pesto on the sides of the food processor, using a spatula. When the pesto looks creamy, lower the speed to the lowest setting and add the toasted slivered almonds and sesame seeds. Process for a few seconds just to mix them in. The pesto is ready to use or store in the refrigerator.